Beautiful Raleigh home with brick front and a copper roof! Well laid out floorplan with tons of space! The open kitchen has loads of cabinets and counterspace, and flows nicely into the family room with a gas fireplace! Separate dining and living rooms too! The upstairs has a huge master suite with a garden whirlpool tub and a separate shower, dual sinks, large walk in closet and a separate sitting area! Great sized secondary bedrooms, plus a fourth bed that can easily serve as a bonus room. Large two car garage and the backyard has a wired work shed! Plantation blinds! Located in the Edgewater neighborhood, near shopping and dining, with great community amenities! Price improved to $249,900! Directions to 4943 Salamander Court, Raleigh, NC 27610 are available on Google Maps. 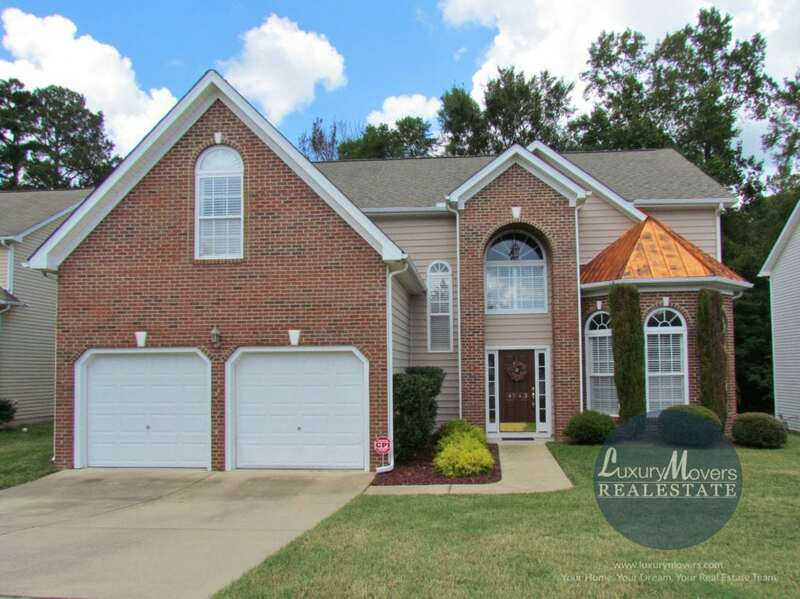 More pictures and information can be found on the MLS sheet for 4943 Salamander Court, Raleigh, NC 27610. A video tour is available on YouTube. Contact us at info@luxurmovers.com or 919-424-1867 for more information, or to schedule a private tour.